Pictured left to right: Dalia Martinez, IBC Bank Executive Vice President of Operations; Camila San Miguel, award recipient at Alexander High School; Jason Owens, Border Patrol Chief. 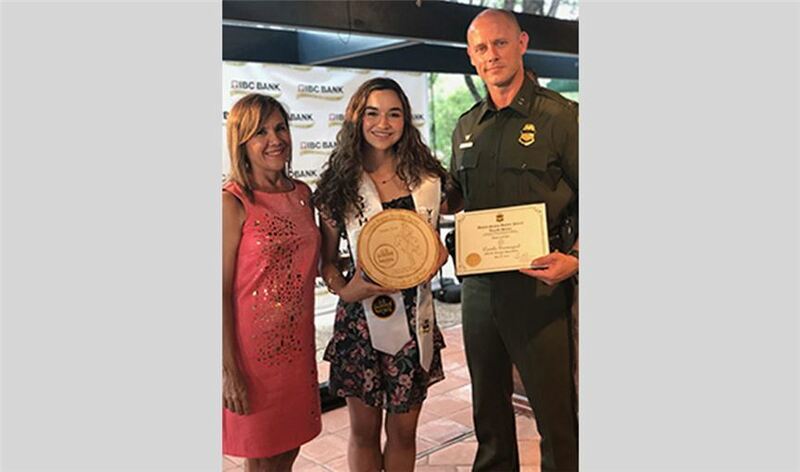 Camila San Miguel from Alexander High School was awarded the Border Patrol Youth of the Year Award at the 2018 IBC Bank Youth Night event on May 25, 2018. Dalia Martinez, IBC Bank Executive VP of Operations, hosted the event and gave welcome remarks to the attendees.